Click on the “Browse” button and navigate to the downloaded “magasin.zip” file and click Install Now. 1. Extract the downloaded “magasin.zip” file. 2. 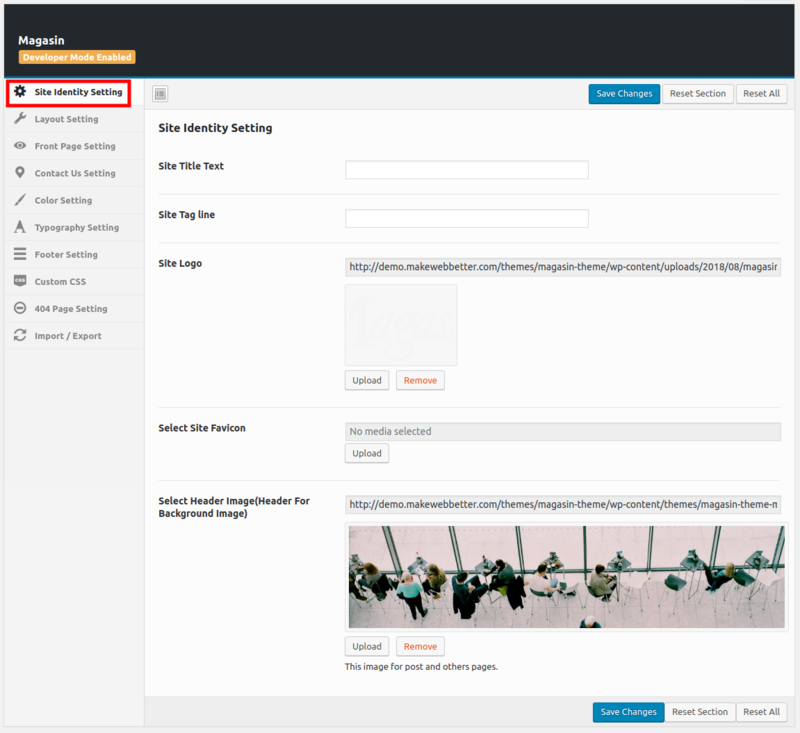 Upload the magasin.zip folder to the /wp-content/themes/ directory. 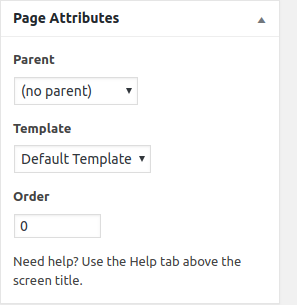 Create the page for Front Page, Navigate to Pages->Add New->Page Attributes->Select the Home page to set from the drop-down. Navigate to Settings->Reading->Front Page Displays. 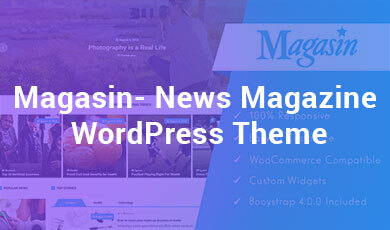 Magasin supports 4 WordPress native post formats. Magasin theme requests featured images for all posts. 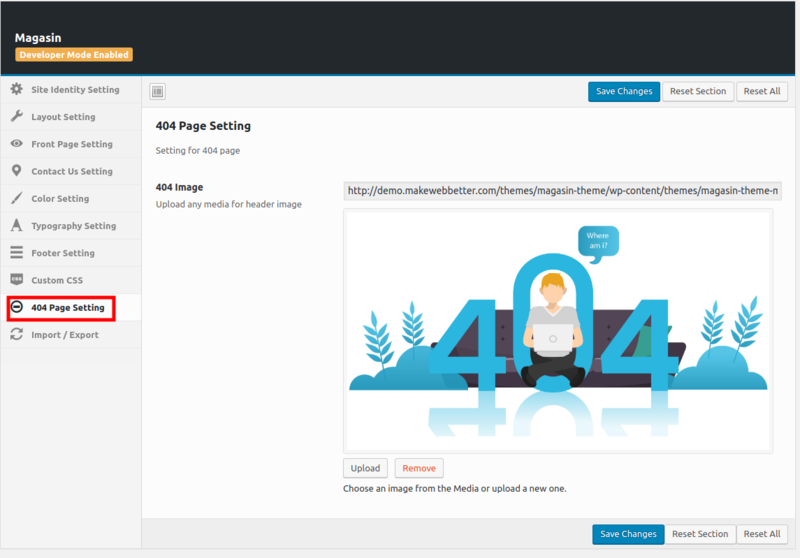 It is used by all blocks and layouts to display your content. Magasin supports video post format. It is perfect if you have a video and you want to replace the featured image and show it in your post. 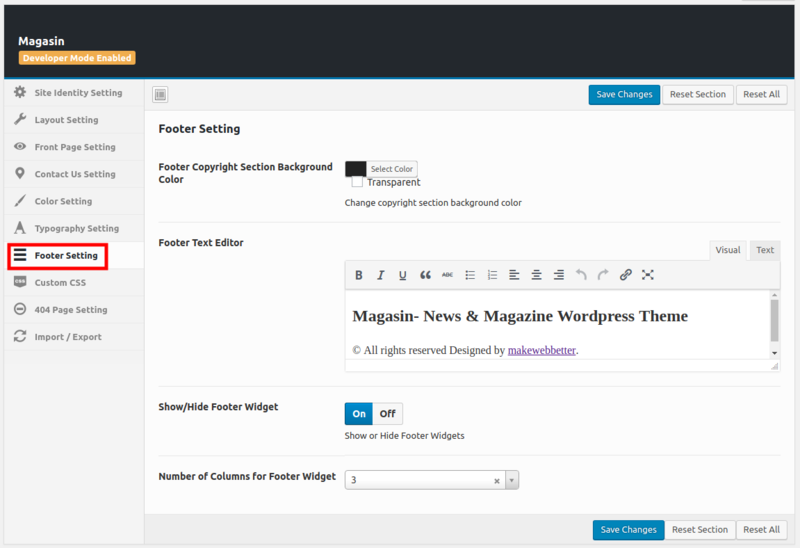 Theme Options is the main feature of Magasin. All options required to control the theme are located in Magasin Options. Set the basic Layout for the theme. 1. 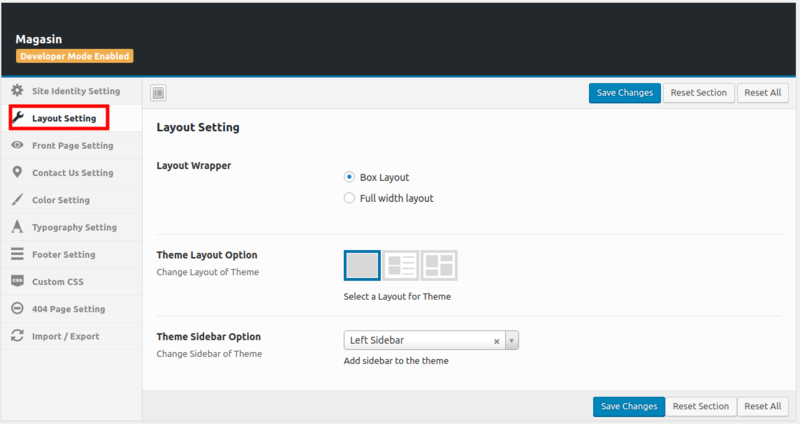 Layout Wrapper: Select the wrapper for the Theme For Box Layout or Full Width. 2. Theme Layout Option: There are 3 Blog Layouts available in this theme. 3. 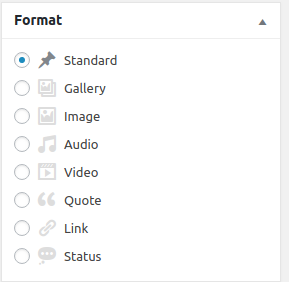 Theme Sidebar Options: Select Sidebar Position for the theme to be displayed throughout the theme. 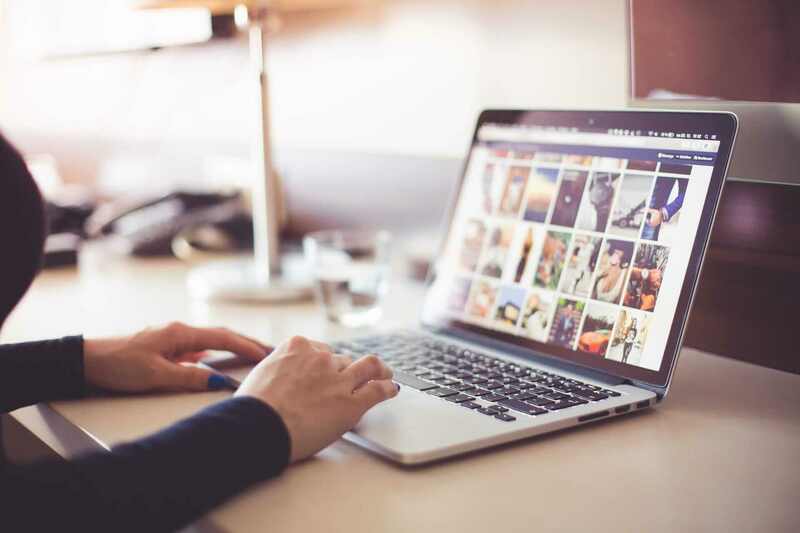 Create a Front Page by Selecting the Category for Home Page From the Following Options. 1. 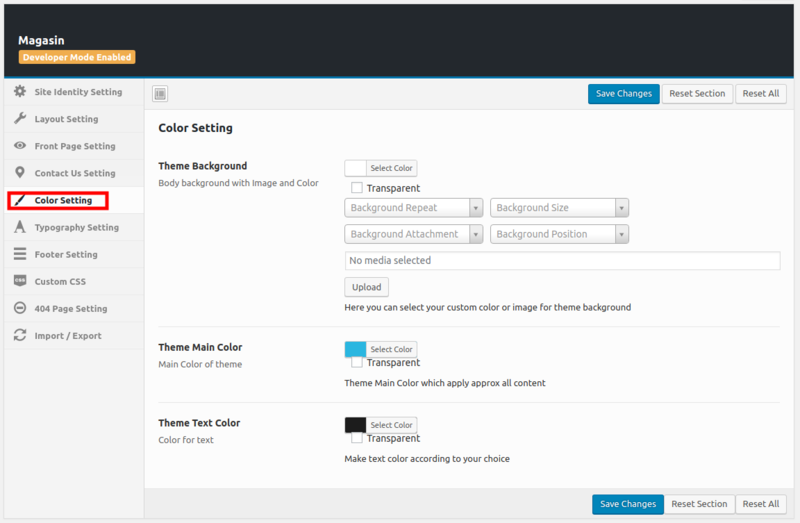 Theme Background: Set background color, the image for the theme. 3. Theme Text Color: Here you can set Text color for the theme. 2. Main Heading: Set Heading Text Font for Theme. 1. Footer Copyright Section Background Color: Set Site Post Title Font for the Theme. 2. 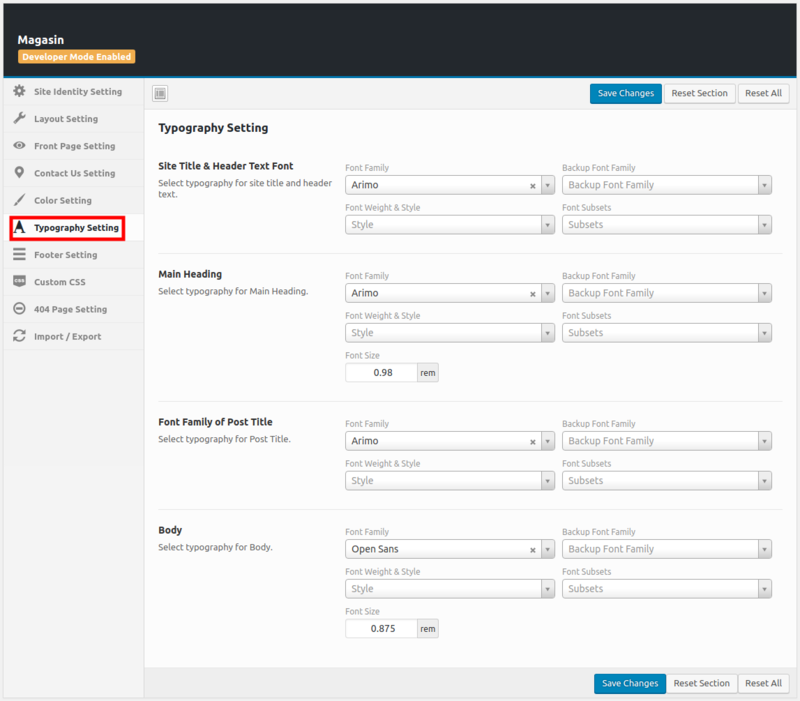 Footer Text Editor: Here you can Font for Post content. 3. Show/Hide Footer Widget: In this section, you can set Font for Navigation and Footer. 4. 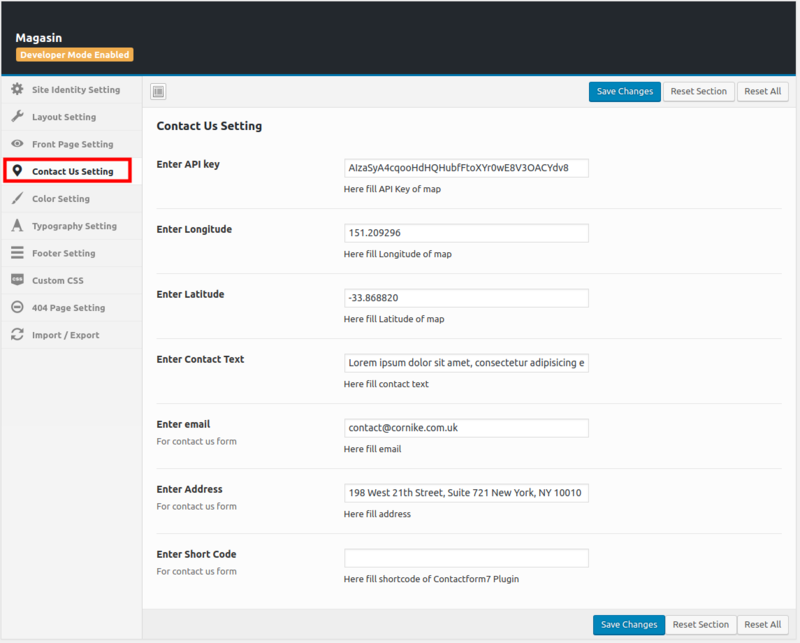 Number of Columns for Footer Widget: In this section, you can set Font style for Title in Default Page. 1) Magasin Social Icons: This widget is used to display Social Icons in the theme. 2) Magasin Popular Post Widget: This widget is used to display popular post of the theme. 3) Magasin Recent Post Widget: This widget is used to display recent post of the theme. 4) Magasin Categories Widget: This widget is used to show categories in the widget along with their post count.  You can place this widget in sidebar and footer as well. Open Poedit and go to File > New catalog from POT file and select the POT in Magasin > languages folder.